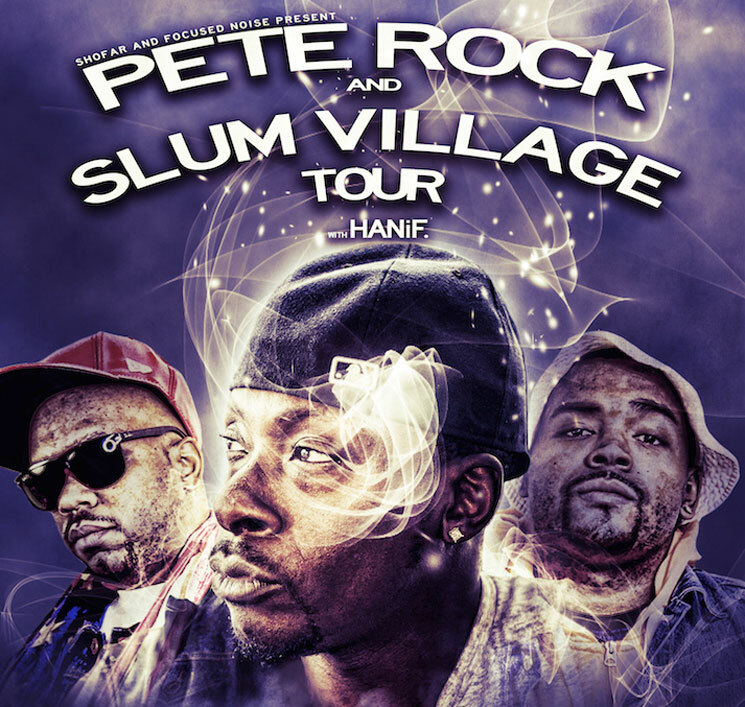 Detroit duo Slum Village have plans to put out a new LP later in the year, but ahead of time, they'll be teaming up with rap icon Pete Rock for a North American tour. Both acts will be appearing at this week's Dilla Weekend in Miami, which runs from today through to Sunday (February 8), alongside Talib Kweli, Joey Bada$$, Black Milk and more. A press release now confirms that Slum Village and Rock will reunite in early March for a month-long trip, which hits up both sides of the U.S./Canada border. They'll be in Victoria and Vancouver in early April before the tour wraps up in Washington state. You'll find the joint tour schedule down below. While details are slim on Slum Village's upcoming LP, it's been revealed that Chance the Rapper, Jon Connor, De La Soul, Phife and more will be popping by. You can stream first single "E(I)GO," produced by Young RJ and guest bars from Rosewood 2055, down below. The group's last LP was 2013's Evolution.